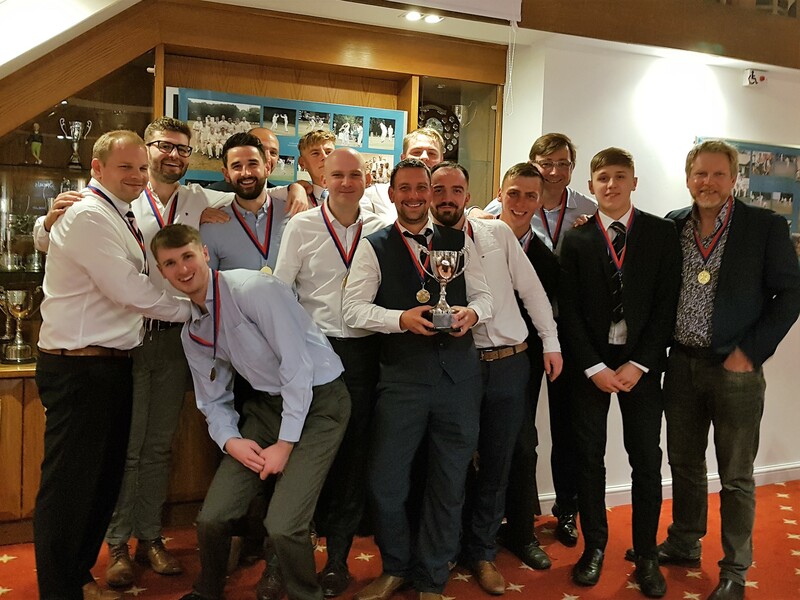 End of Season Awards Dinner and the winners were…..
After a brilliantly successful season the club’s members and supporters enjoyed their End of Season Awards Dinner on Saturday 20th October. 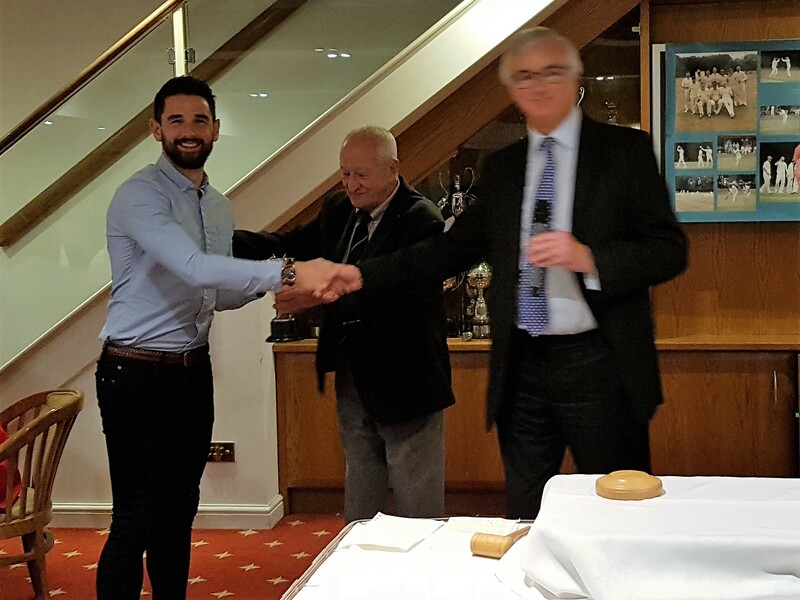 Awards were made to all the 1st X1 for their success in winning the newly formed Berks, Chiltern and Mid Bucks Championship. 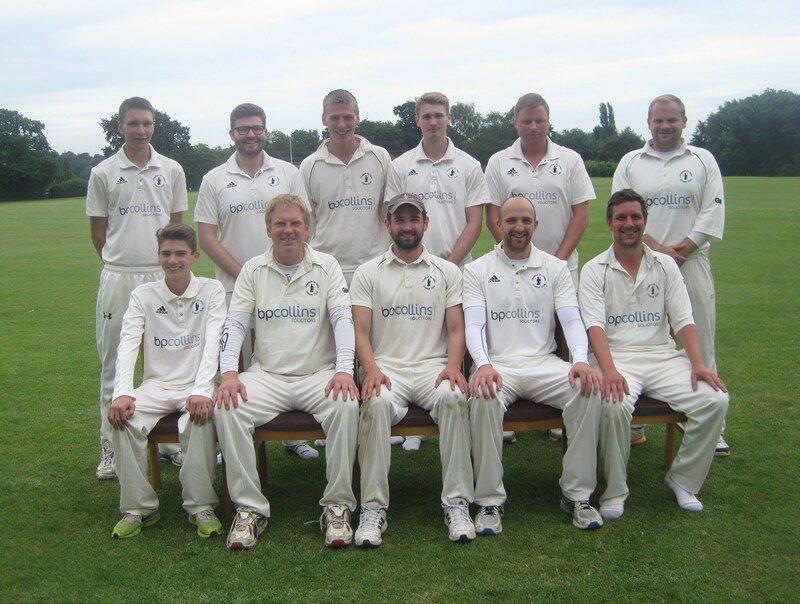 In the 2018 season our 1st team became champions of the Berkshire Chilterns Mid Bucks Championship with 2 matches of the 18 match season still to be played. They finished the season at the top of the table 58 points ahead, winning 13 out of the 16 matches played (2 were abandoned). When we entered this competition at the beginning of the season it was a step into the unknown. We were one of 5 Chilterns League sides but we knew little of the 5 Berkshire Premier League sides who were also involved. Our consistency, losing only 1 game and winning 13 has brought its reward and many congratulations to our captain Chris Cross and all who have played a part in our success. There have, of course, been outstanding performances by individuals but more than anything we have shown a strength in depth unmatched by other clubs. When needed players have moved up from the 2nd team and not let themselves or the team down. 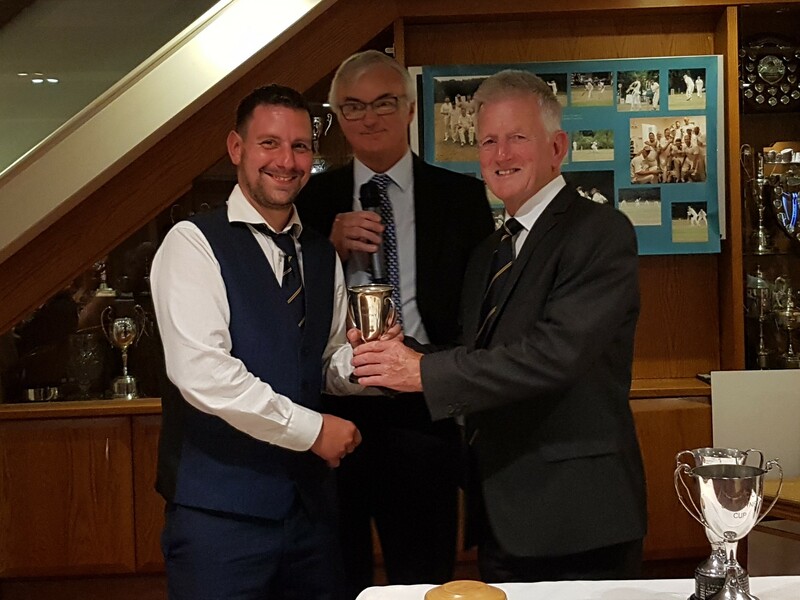 The league presented the trophy and medals to us at our awards dinner on Saturday 20 October at Oakland Park Golf Club, along with our own end of season awards. 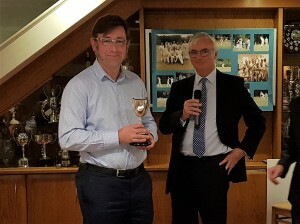 The icing on the cake is that as champions we have been invited to play in division 4 of the Thames Valley Cricket League in 2019. The inspection of our ground and facilities has taken place and the outcome was favourable . We will accept the invitation and look to test ourselves at a higher level. Potential visits to Marlow, Beaconsfield, Maidenhead and Bray, Wooburn, Ickenham and Harefield await us and really are something to look forward to. 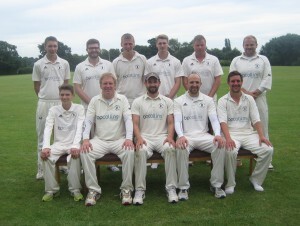 Our 2nd team also had a great season and finished runners up in the Chilterns League Div 2 and so gained promotion to Div 1 for 2019. 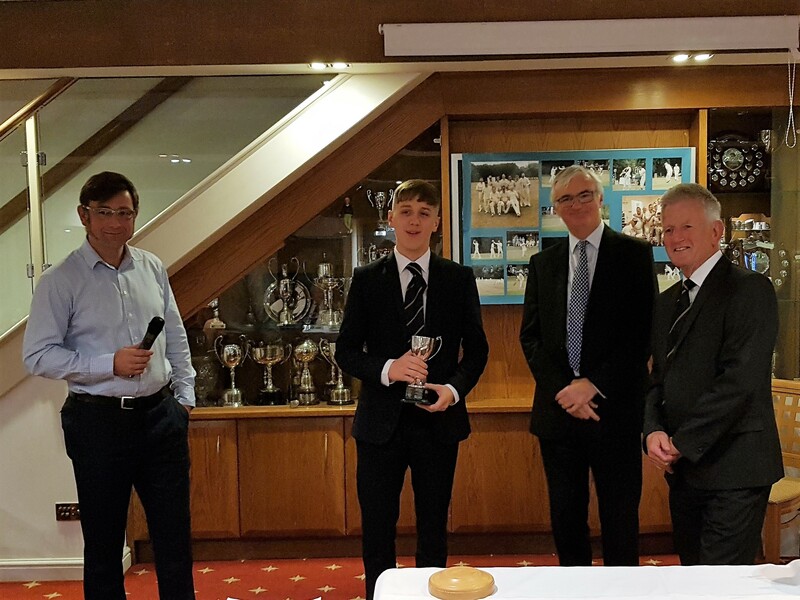 Congratulations to Cedric Ayres who captained the team, largely made up of Colts and young players who have come through our Colts set up. 2017 was another good year for the club. The 1st X1 came 5th in the 1st Division of the Morrant Chiltern League and the 2nd X1 were 6th in the 3rd Division. A good achievement for both teams which are made up of 80% players who came through our Colts system, many of the 2nd team players are still Colts. There were some outstanding individual performances during the season. 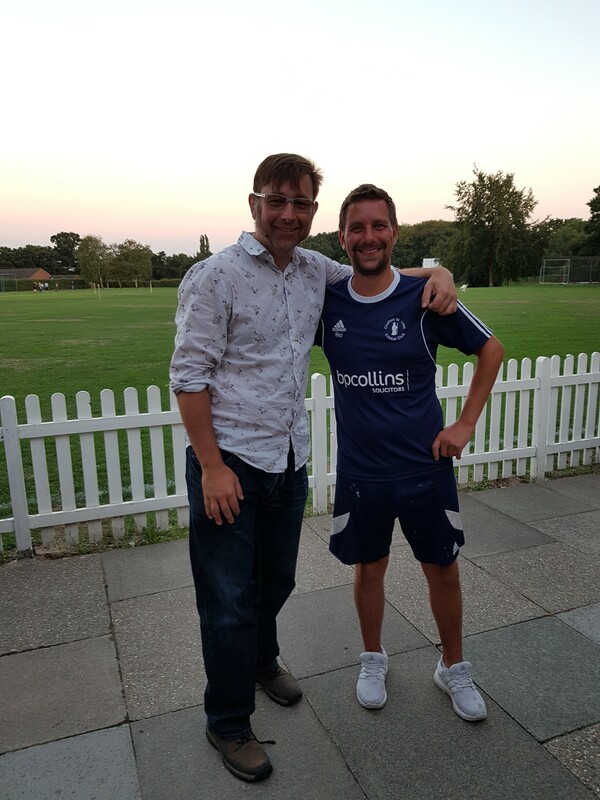 Chris Cross, our captain, was the Top All Rounder in the league with 32 wickets and 729 runs and James Plested was the Top Catcher with 20 catches. In the 1st team Chris Cross, Alex Heaney, Simon Paine and Dan Winter were all in the top 20 Wicket Takers and Chris Cross and Dan Heaney were in the Top 20 Run Scorers. 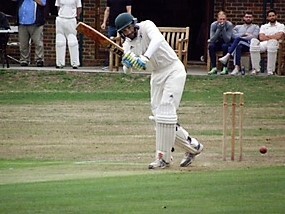 In the 2nd team Cedric Ayres, captain of the 2nds, was the 2nd Top Wicket Taker and Tom Paine was also in the top 20. 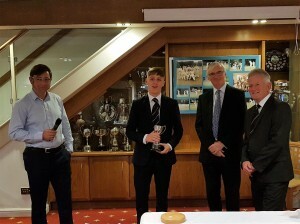 At the age of 13 Tom Whittington made his senior debut and came away with a strike rate of 3.67 – the best in Division 3. Finally a mention of Paul Plested, who had a great season and scored his first century.